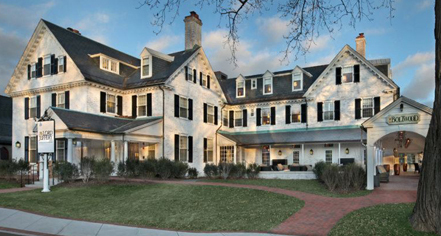 In the heart of New England, where the flourishing luscious maple trees of Amherst Common meets the campus of Amherst College, the Inn on Boltwood has been a cherished landmark in the Five Colleges community since 1926. 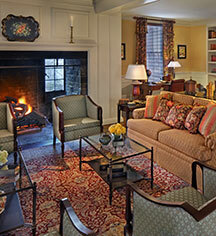 The inn welcomes its guests to a classic New England setting without sacrificing contemporary comforts. The luxurious ballroom, an outdoor tent pad located in the south gardens, and experienced professional staff make the Inn on Boltwood a premiere event destination in Western Massachusetts. The inn is the 2014 Sustainability Champion from Historic Hotels of America and focuses on amenities such as organic bath products, an extensive recycling program, and the distinction of being one of Pioneer Valley's greenest hotels. At the Inn on Boltwood, all of the guestrooms include modern luxuries such as pillow-top mattresses, high thread count linens, and flat-screen high definition televisions. Combining contemporary cuisine with country living, 30Boltwood is a full-service restaurant focusing on utilizing the freshest local ingredients available to create an enticing, creative menu. The inn's legendary high level of personable service and historic charm remain unchanged throughout the years. Inn on Boltwood, a member of Historic Hotels of America since 2011, dates back to 1926. When in Amherst, Robert Frost always stayed at the Inn on Boltwood where he found the type of beauty and peace that he always sought out in nature. Payment: All forms of payment are accepted. Payment is required at time of booking. Visa, MasterCard, Amex, JCB, and Discover are accepted. Learn more about the History of Inn on Boltwood .